Serie A is at the halfway of the Regular Season and there are still another 4 rounds left. Host teams show no mercy winning all games. The fans could enjoy quite many interesting games in the last round. The round ended with defeat of the leader, derby games and favorites losing the games. Here is the last round review presented by ESL. The most crucial game of the last round was the first loss of Recicladores (3-1) in Caracas on Thursday night. Visitors were edged by fourth ranked Broncos (3-1) 81-80. It may be a crucial game in the contest for the top position in A. Broncos moved-up to second place in A. Broncos' supporters look forward to an exciting derby game next round, where their team will face at home their local rival from Caracas Comuna. Important game to mention about took place in Maracay. First ranked Recicladores (3-1) saved a 1-point victory at home edging 5th ranked Comuna (1-3) 89-88 on Saturday evening. Recicladores maintains first position in A with 3-1 record. Comuna at the other side keeps the fifth place with three games lost. Recicladores will play against Guerreros (#3) in Valencia in the next round, which may be the game of the day. Comuna's supporters look forward to an exciting derby game next round, where their team will travel locally in Caracas to the arena Broncos. A very close game took place in Ciudad Bolivar between Acereros and Margarita. Fifth ranked Acereros (1-2) got a very close home victory over much higher ranked Margarita (2-2). 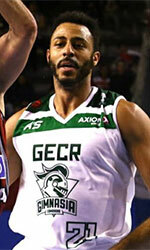 Acereros managed to escape with a 1-point win 109-108 on Saturday evening. Acereros left bottom position moving up to fourth place in A. Loser Margarita dropped to the third position with two games lost. Acereros will meet league's second-placed Cangrejeros in the next round and it may be the game of the week. Margarita will play against the league's leader Gladiadores and it may be a tough game between close rivals. Another interesting game was a derby match between two teams from Caracas: Broncos (#4) and Atleticos (#3). 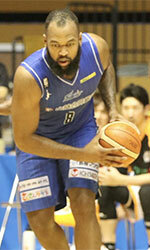 Broncos (3-1) smashed visiting Atleticos (2-2) by 18 points 76-58. It was a key game for the second position in A. Broncos moved-up to second place in A. Atleticos at the other side dropped to the fourth position with two games lost. Broncos' supporters look forward to another derby game next round, where their team will face at home their local rival from Caracas Comuna. Another interesting game was again a derby between two local teams from Caracas: Comuna (#5) and Diablos (#6). Comuna (1-3) won against visiting Diablos (0-4) 92-85. Comuna maintains fifth position in A with 1-3 record. Loser Diablos still closes the standings with four games lost. Comuna's supporters look forward to another derby game next round, where their team will travel locally in Caracas to the arena Broncos. Other games in round 4 were not that significant. In A winless Diablos were beaten by Guerreros on the road 96-79. Cangrejeros won against Buffalos on its own court 81-63. Winless Buffalos unfortunately lost to Gladiadores in a road game 73-90. The most crucial game of the last round was the first loss of undefeated Recicladores (3-1) in Caracas on Thursday night. Visitors were edged by fourth ranked Broncos (3-1) 81-80. It may be a crucial game in the contest for the top position in A. Broncos moved-up to second place in A. Broncos' supporters look forward to an exciting derby game next round, where their team will face at home their local rival from Caracas Comuna. No shocking result in a game when second ranked Guerreros (3-1) beat bottom-ranked Diablos (0-4) in Valencia 96-79 on Saturday. Despite that victory Guerreros went down to third position (A) due to points difference. Loser Diablos still closes the standings with four games lost. Guerreros will face league's leader Recicladores in Maracay in the next round and it will be for sure the game of the week. Diablos' supporters look forward to an exciting derby game next round, where their team will face at home their local rival from Caracas Atleticos. The game between closely ranked teams ended with 4th ranked Buffalos' (0-3) road loss to top-ranked Cangrejeros (2-0) in Maturin 63-81 on Saturday. Cangrejeros moved-up to second place in A. Loser Buffalos still closes the standings with three games lost. Cangrejeros will face Acereros (#4) in Ciudad Bolivar in the next round. Rather predictable result when first ranked Gladiadores (3-1) won against at home 4th ranked Buffalos (0-3) 90-73 on Friday. Gladiadores maintains first position in A with 3-1 record. Loser Buffalos still closes the standings with three games lost. Gladiadores will face Margarita (#3) at home in the next round, which may be the game of the day.